There's not much I can say about myself. 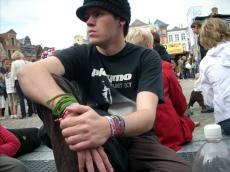 My real name is Nick Van Loy, I'm 22 years old and I live in Belgium. I love to read books, some of my favourite authors are: Haruki Murakami, Ryu Murakami, Edgar Allan Poe, John Keats, Shakespeare. This page was created in 1.4425 seconds.